Classical french 70's design ! 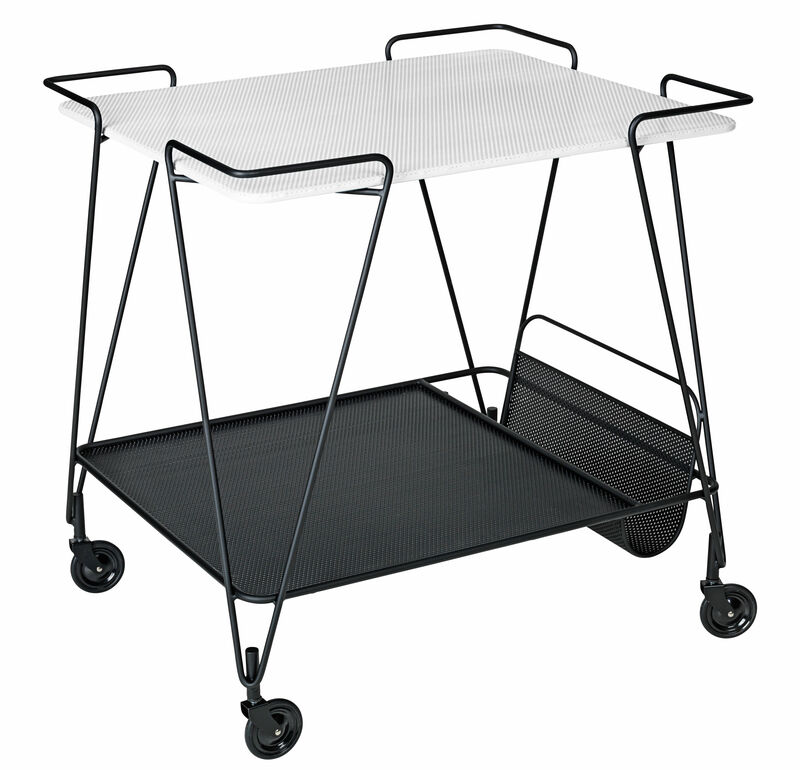 Very elegant, the Trolley service combines a black metal frame and two plates. 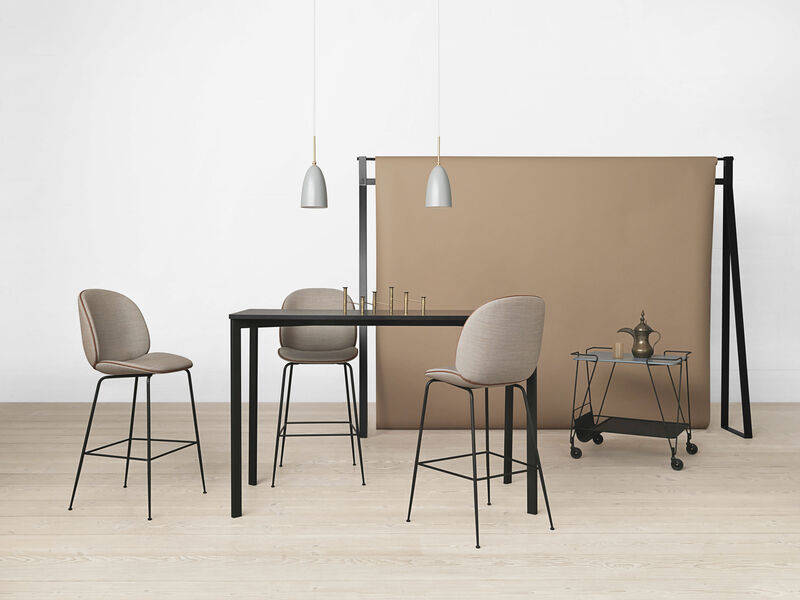 But this small table is not content to be pretty, she is also very practical : thanks to its 4 handles, extension of the structure, it moves effortlessly from kitchen to living room. Compact (H 74 cm x W 55 cm x L 66 cm), it is ideal to serve the drink in the lounge or clearing the dining room table. 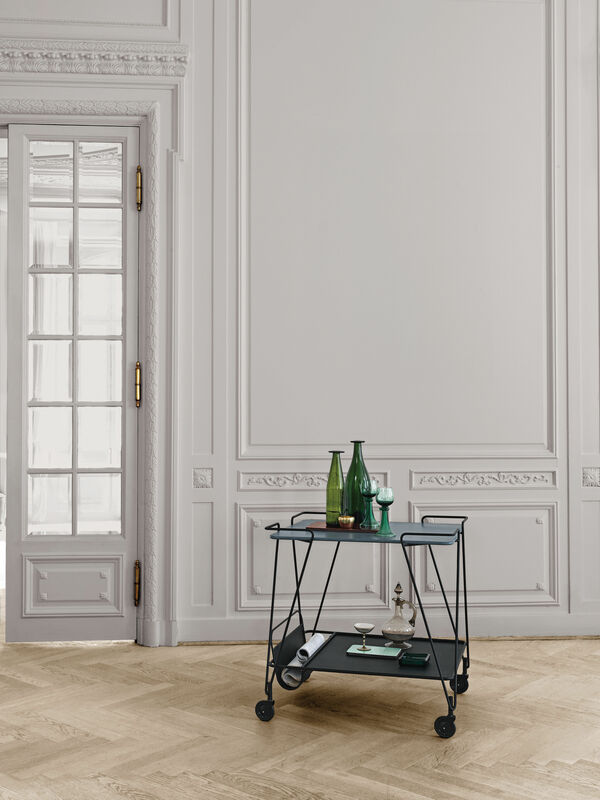 A must retro chic to acquire absolutely !